Yun Yi on Do You Play “Go” – A Game That Resembles Life? jovialspoon on Do You Play “Go” – A Game That Resembles Life? If there is one suspense book that strikes me the most PSYCHOLOGICALLY, it’s Whispers And Lies (referred as W&L below), by Joy fielding, one of my favorite contemporary mystery writers. I wrote a review years ago, but that’s not enough. I even wrote an email to the author a while after I read the book and was thrilled to receive her kind reply. I also purchased a copy for my friend in China. How my friend enjoyed it I do not know (her English might be obstacle of enjoying the story thoroughly), but all these years, this book remains as the best psychological thriller to me, and that’s why I purchased another copy recently, and re-read some of my favorite parts of it. “She said her name was Alison Simms. I just can’t get enough of Jane Eyre! Words cannot describe how much I love this book. Up to now, it sits undisputedly on the top of my favorite literature books, even on top of Les Miserable. 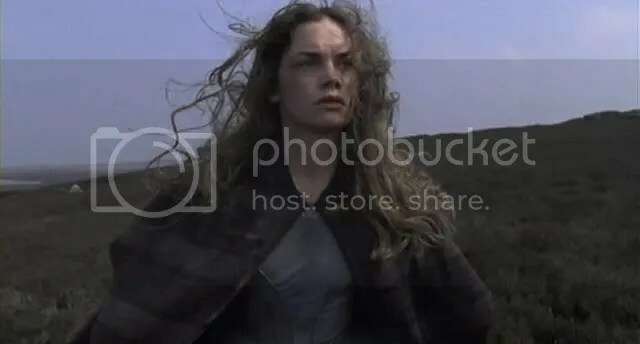 Of course, I do not doubt the profoundness of Les Miserable regarding to human nature in general, but Jane Eyre is more special to me personally, as I feel related to “her” in so many ways. Jane Eyre not only strikes me with her independence, as I put it in my previous post, but also with countless other aspects. 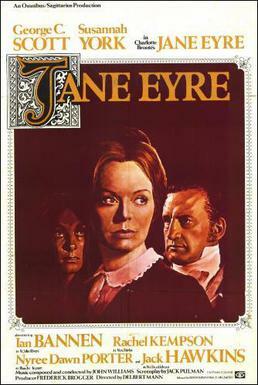 For examples, her rebellious disposition – “I resisted all the way.” (beginning of Chapter 2); her sharp inquiry about blind religious obedience, which is reflected in her friendship with Helen Burns; her unusually pre-matured intelligence, such as her quick learning ability, her art talent; and above all (even above her independence), Jane Eyre strikes me with her tenacious reason, which never gives way to her frail sentiment. How Can We Not “Offend” Anyone? Are We All Equally Guilty? I consider myself a highly “self-principled” person regarding morality. However my principles are simple and fundamental, not emphasizes on behaviors, courtesy or any kind of superficial traditions, and they are not made by any other human beings but myself. In a word, I follow my inner voice. My first moral principle is clear and firm: never do anything to purposely hurt anyone. 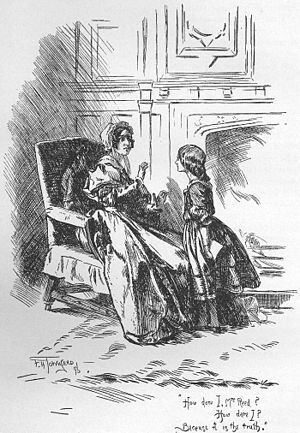 Just like Jane Eyre, I learned kindness through my hardship: When I was bullied during my childhood, the pain I felt when I was savagely beaten, only “inspired” me to make resolution, that I would never exert the same kind of pain to any other persons. Yes, I learned that before I heard the name of Jesus Christ, or Buddha, or any other “Saint”‘s voice. And I can proudly say that in my life I’ve never done anything purposely hurt anyone. Jane Eyre, an orphan, an outcast of her own kindred, a ward of abusive institution, grows into a well learned and highly intelligent young woman. She learned kindness through hardship, learned love through her hateful abusers. Beside all these qualities, she has an earnest disposition for independence, which strikes me the most. Jane RESISTS anything that imposes upon her without her consent, not only cruel abuses but also mellow sweet love. Nothing can stay her way to hinder the will of her own. Yet she is soft, kind, sensitive and forgiving. When Jane Eyre leaves Thornfield with astonishing resolution, she drops the heavenly happiness behind, throws herself into an absolute unknown fate. She spends 2 days in a coach, which takes all the money she has, which drops her in middle of no where. In the following 2 days, she is nothing but a beggar – who is ready to give up her last bit of pride for a slice of bread. After more than 2 weeks I finally “tottered” through over 600 pages of The Idiot. I first tried in Chinese translation, somehow could not stand it, then moved into English translations, jumped back forth between two different translations: one by Eva Martin, another by Henry and Olga Charliele. I found overall Eva Martin version was easier to read, but also bears a few “hard errors”, which might not be such big deal (except one that made me very confused and I had to go to another version to clear it out). I checked on internet that the best translation should be the one by Pevear and Volokhonsky, so I ordered from amazon, decide that I will read it again, may be not whole 600 pages but at least some parts of it. This is a book that I certainly would not take it “lightly”, for it’s philosophical profoundness. I personally feel related to the hero of the book, the prince Myshkin in many ways, though at my current age, I become more cynical than Myshkin in regard to this thing we call “human society”. The prince Myshkin is known by Dostoyesky’s readers as “Christ like”, for me, he is nothing more than a pristine model of humanity, in contrast to most people (or majority of population), who are spoiled by qualities such as greed, ambition, vanity, etc. During her late 20s, Highsmith was troubled by her sexuality and she sincerely wanted to fix it, because she wanted to marry a man who deeply loved her. So she underwent a therapy, believed it would eventually convert her to heterosexual. Since the therapy was extremely expensive, she had to take another job in a toy store to catch up with bills. It was in that store she met a female customer, who inspired her to write her second novel Price Of Salt (also published as Carol in later editions) – one of (or the only one) greatest romance books about lesbians relationship, or any love relationship!